Tennis Golfers Elbow – and other associated elbow pain is often caused by repetitive strain injuries. 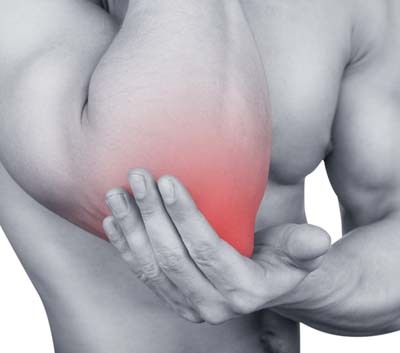 Pain can be either on the outer elbow (Lateral Epicondylitis aka Tennis Elbow) or inner elbow (Medial Epicondylitis aka Golfer’s/Pitcher’s Elbow). Typically occurs with individuals that play racket sports, golf, sports requiring throwing motion, but also occurs with carpenters, plumbers, mechanics, office workers, cashiers, bowlers, and chiropractors. Yes, we too must take care of our spine and joints. If left untreated, the inflammation and lack of motion can cause further degeneration of the joint, including changes to the bone itself, decreased range of motion, accumulation of painful scar tissue, etc.